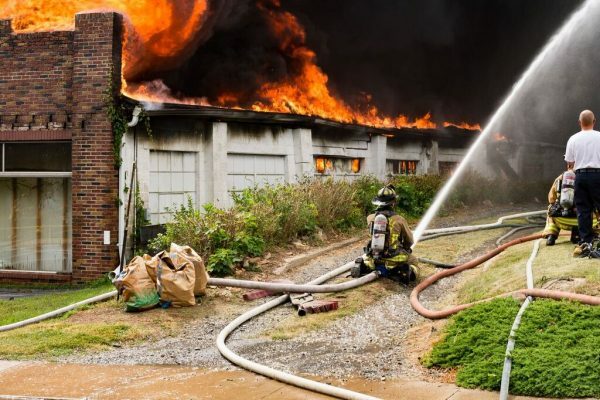 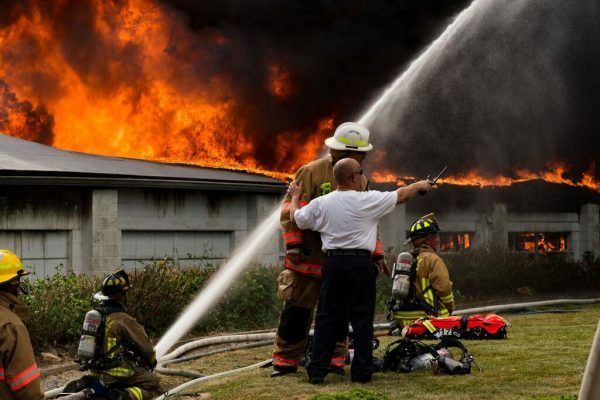 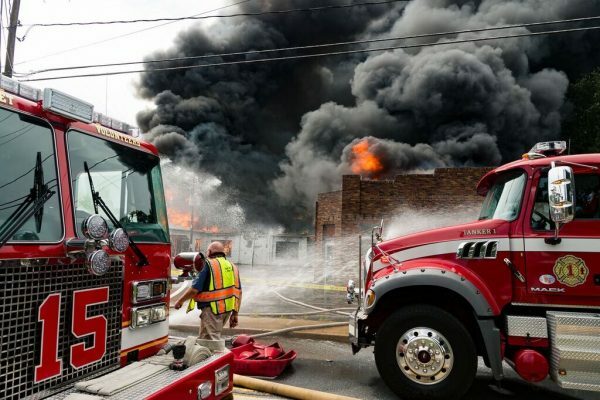 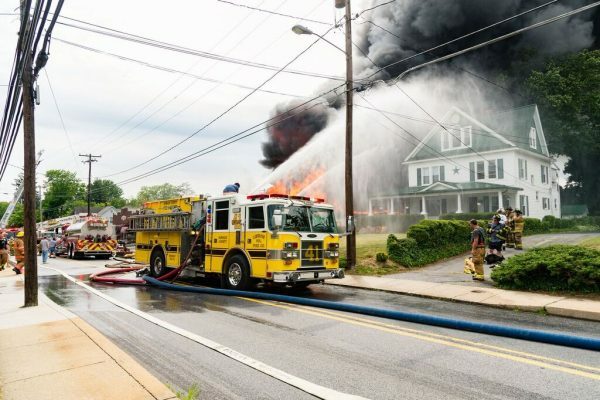 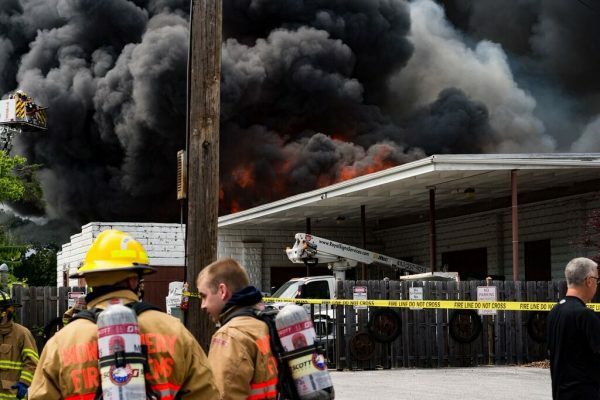 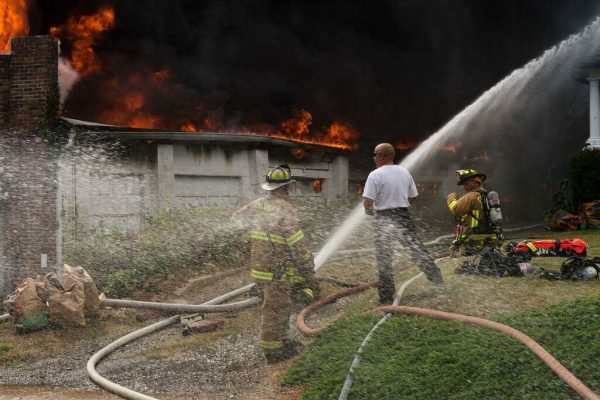 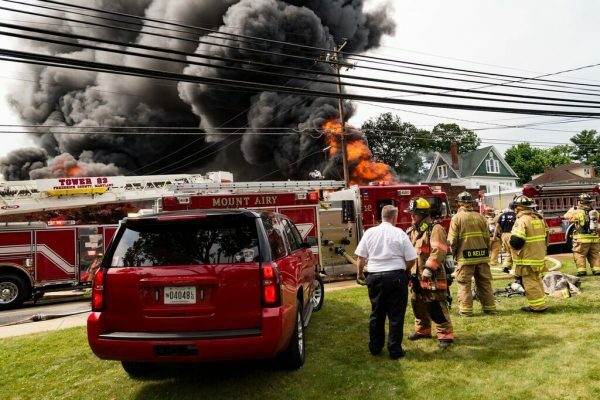 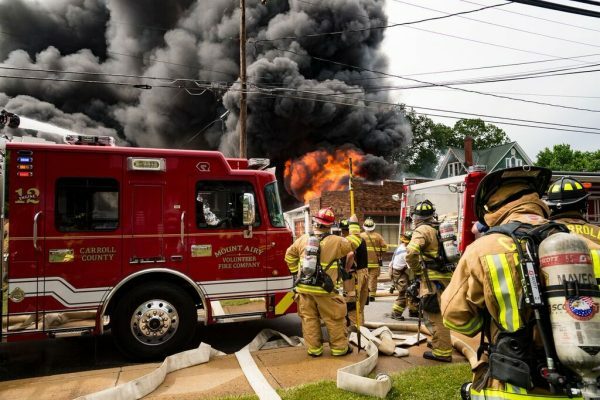 Firefighters from Carroll, Howard, Frederick, and Montgomery counties responded earlier today to a 2-alarm blaze which engulfed an old commercial building in Mount Airy, Maryland. 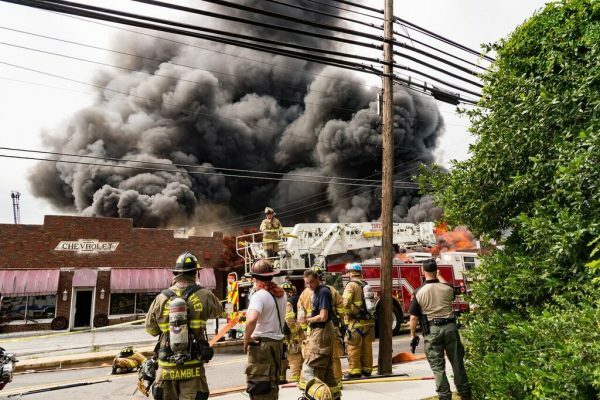 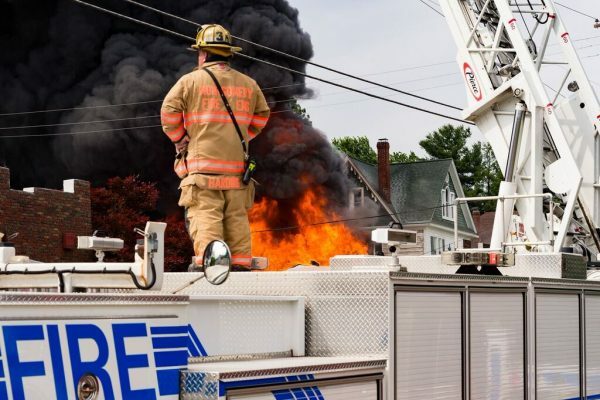 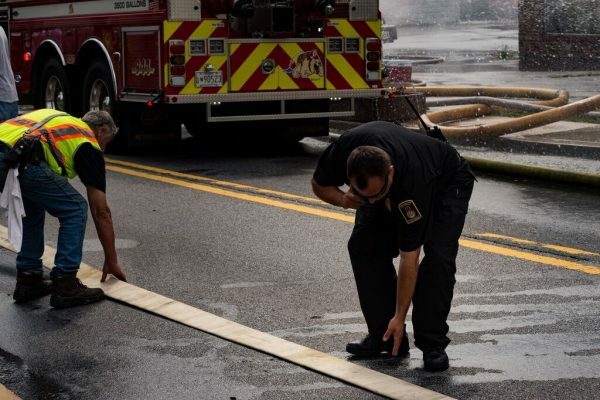 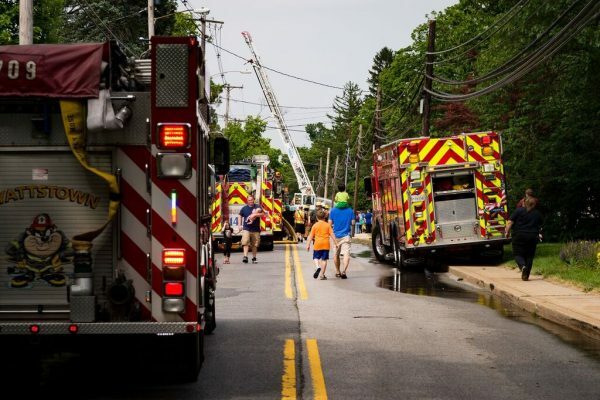 The fire, which began sometime before 3 pm at 1009 South Main Street in Mount Airy, was controlled by the combined fire crews, both from the ground and with the use of telescoping fire equipment. 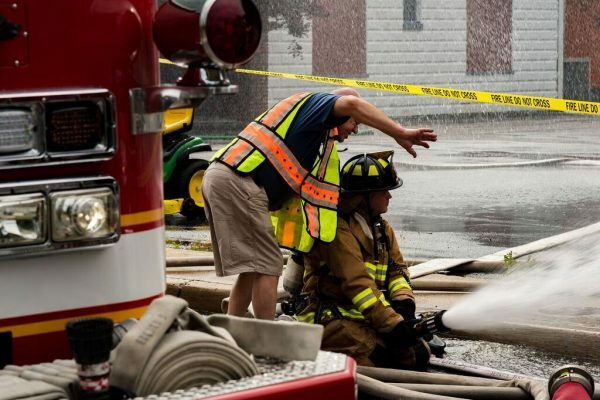 As a precaution, neighboring structures were also saturated with water. 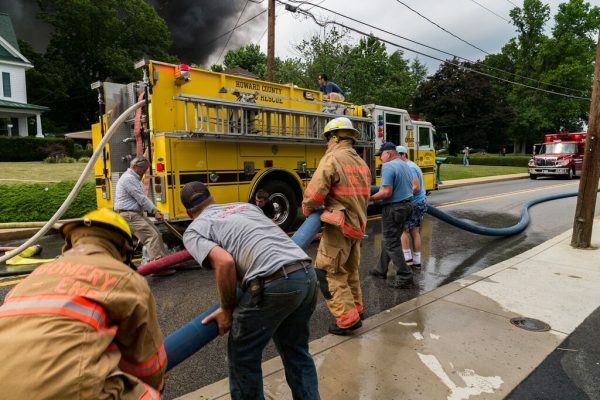 Charles Crabb, a volunteer firefighter with the Mount Airy Volunteer Fire Company, told the Baltimore Post-Examiner the blaze was completely contained by about 6 pm. 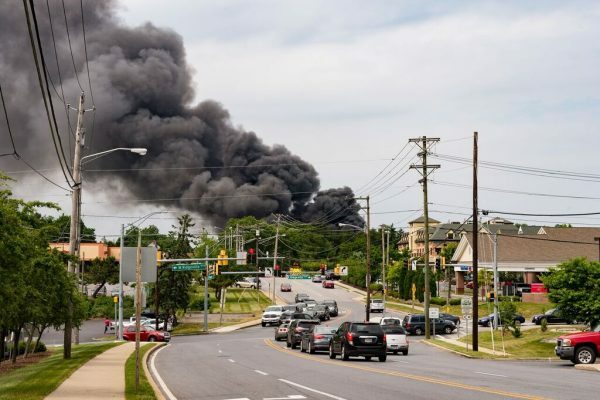 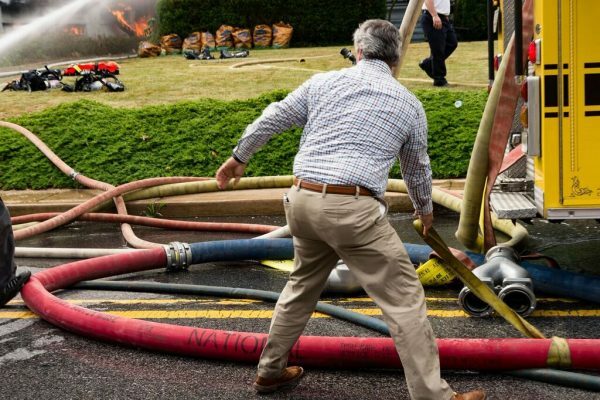 Crabb also said that no injuries were reported. 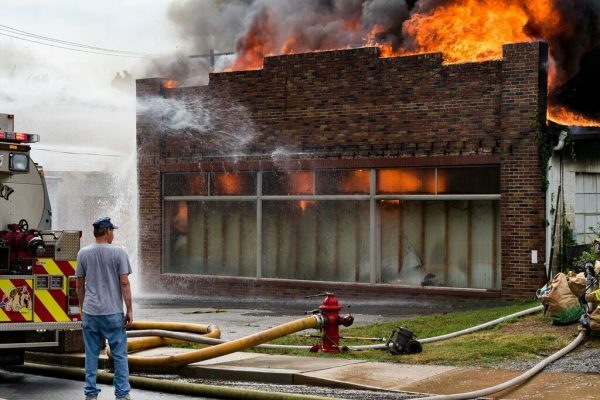 While it is unclear what the commercial building was currently being used for, a sign on the facade of the building next door indicated it once housed a Chevrolet dealership.